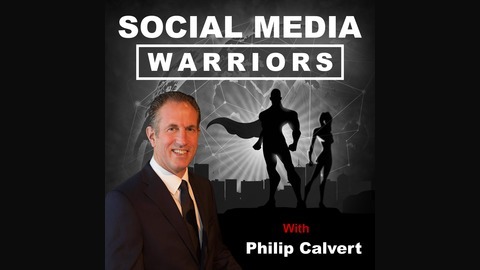 The Social Media Warriors podcast with Social Media strategist Philip Calvert. Philip is well known on the international speaking circuit as an entertaining and compelling sales and marketing speaker, specialising in Social Selling. Subscribe to the show and get Social Media and Content Marketing tips, ideas, news and best practice direct from Philip - plus powerful interviews with Social Media experts, marketing professionals and content marketing gurus. Also... Join the Social Media Warriors private forum on Facebook, where you can network, ask questions, share ideas and provide help and support to one another. 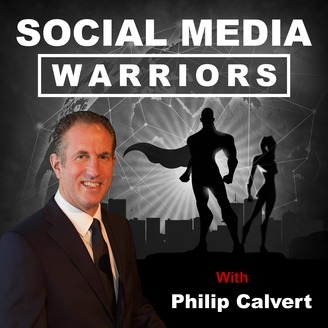 Join us here >> www.philipcalvert.com/socialmediawarriors. Graham Jones is an author of 28 books and he's a prolific blogger. He knows better than most just how effective writing online is to attract new clients. And as an internet psychologist, he understands how your customers are using web pages and social media to find what they want. In this wide-ranging interview Graham shares a wealth of expertise on how to make better use of the internet to get attention, build trust and win new clients. Subscribe to the show now!